Byron Cox and Jo O’Connell of Australian Native Plants nursery. 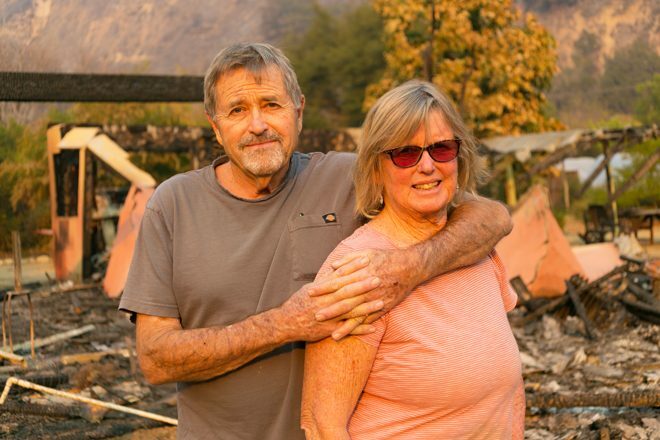 Last fall the Thomas fire devastated Ventura County including the home of Jo O’Connell and Brian Cox, owners of Australian Native Plants nursery in Casitas Springs, California. Jo and Brian are long time PHS members and loyal advertisers in our magazine. “‘Thomas the Terrible’ burned down my house, my seed bank, my reference library and (my) collection of Australian artifacts and botanical prints. Jo went on to describe the outpouring of support they’ve received from friends, customers, and even strangers who have shown up to help put the nursery back to rights again. Horticulturists have donated seeds, plants, and books as well. A GoFundMe campaign began by friends exceeded its financial goal and is being put to good use to navigate clean up, insurance, and rebuilding efforts. Gardeners lend a hand; it’s what we do. “As I drive around the Ojai Valley, I notice that many trees are showing signs that they will survive and the local chaparral is beginning to grow back. All of us at Pacific Horticulture wish Jo and Brian, along with their dog Wallaby, all the best as they rebuild and replant. 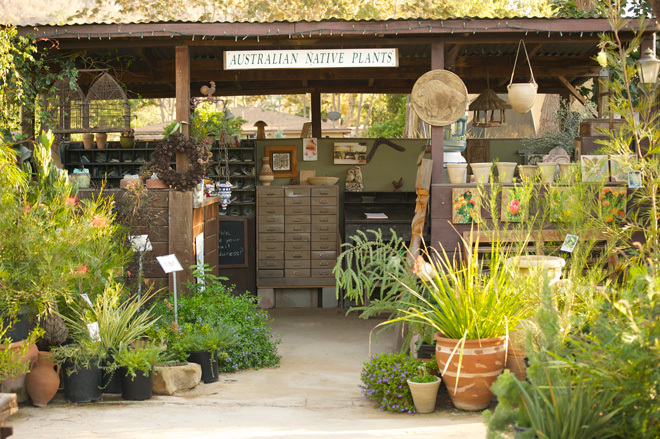 Australian Native Plants is open. Call 805-649-3362 to make an appointment. And visit www.australianplants.com for mail order availability and continuing updates. Read more about the nursery at California Outback in our archives.